Gov. Scott Walker has signed SB148 which allows use of personal delivery devices in Wisconsin. 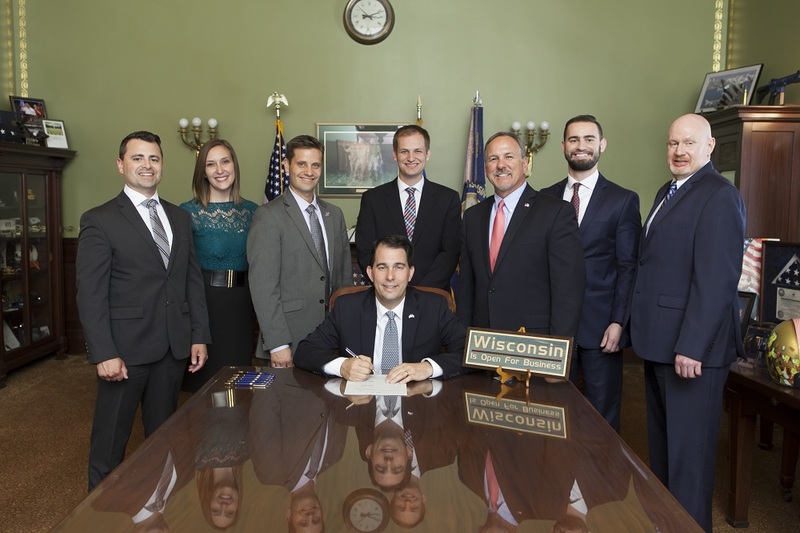 Pictured (L to R): Nick Probst, Cassidy Wartenweiler, Senator Chris Kapenga, Caleb Gerbitz, Representative Mike Kuglitsch, Jon Rogowski, Garrett Huffman.